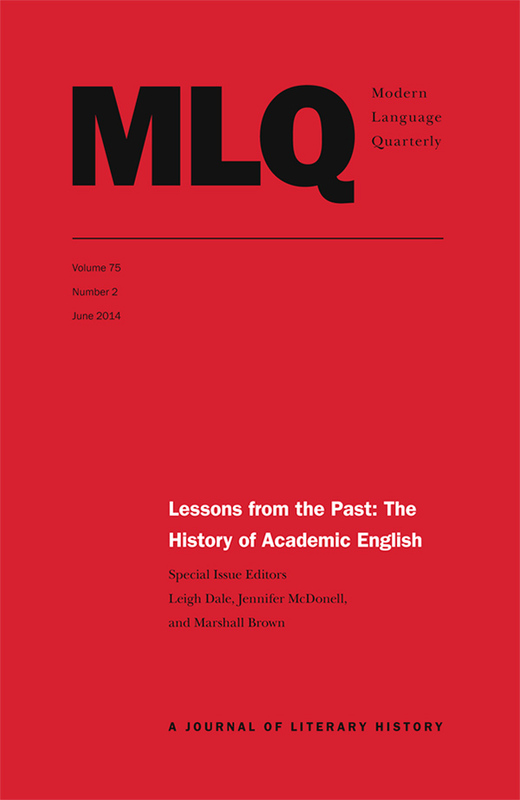 "Lessons from the Past: The History of Academic English" concerns the emergence of critical, creative and pedagogical discourses advocating the study of vernacular literature, in England and the United States, Canada, and Australia, in the second half of the nineteenth century and early twentieth century. The discipline we now understand as English Studies was shaped by debates about relevance, curricula, public benefit and the future of English conducted in essays, editions, public debates about university structures and appointments, and, notably, in active poetry societies dedicated to Percy Shelley, Robert Browning, and others. The essays in this collection offer both detailed snapshots and broad overviews, culminating in a daring anatomy by Herbert G. Tucker of the underlying tendencies in the defense of English from the Victorians to the recent past.